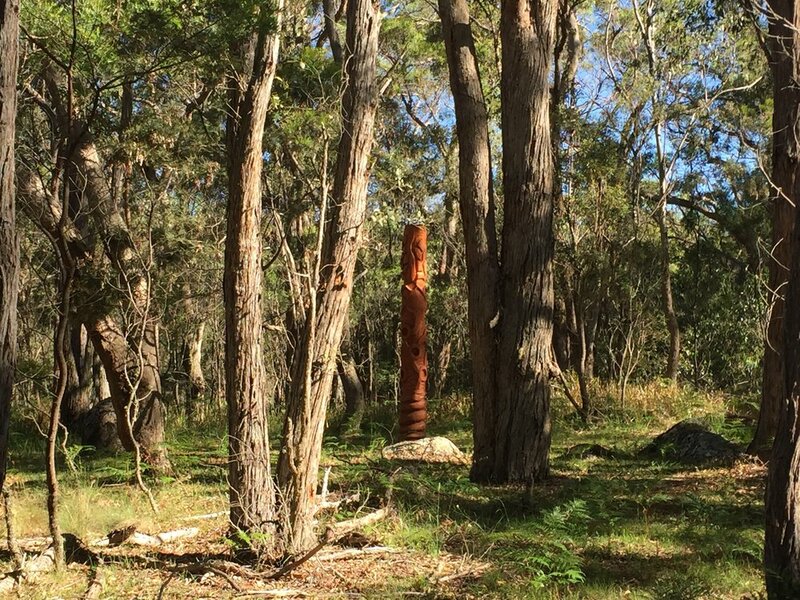 A close up of Russell's totem: come in the early morning, or any time, its beautiful to meditate here...especially when the wattle is in flower. Storm fallen trees made 'Stargate' , the gateway to up to the Hermitage Hill Tree-House. Greeting the day in 'Stargate'! Buddha of an ancient giant stringybark. Miranda with...Lizards running along a 200 year old fallen gum tree.